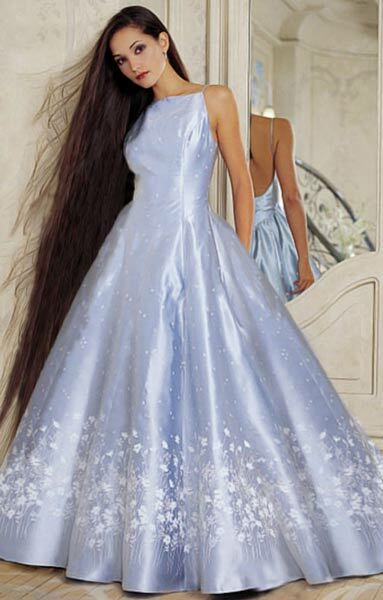 The original photo shows a model in a formal blue dress (designed by Jessica McClintock). I had already experimented with extending hair in one or two other images before I decided that straight hair would be the toughest to extend seamlessly. When working on the image, I got carried away and changed the style of the garment as well, using the same basic technique of addition.